Republicans were well represented at the 2017 Gateway to the West parade in Blair today. 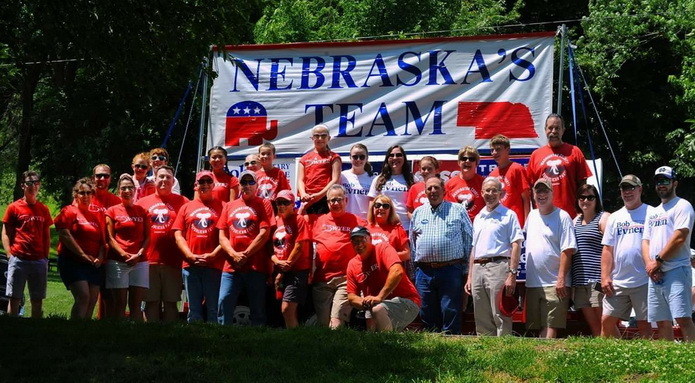 Governor Pete Ricketts, Senator Lydia Brasch, Bob Evnan for Secretary of State, Micheal Dwyer for Legislature, Tim Schram Public Service Commission, Sheriff Mike Robinson, City Councilman Kevin Willis, County Supervisor Lisa Kramer, County Attorney Scott Vander Schaaf and a whole bunch of really great & dedicated volunteers!! The Washington County Republican Party sponsored their annual “Picnic in the Park” following the parade.